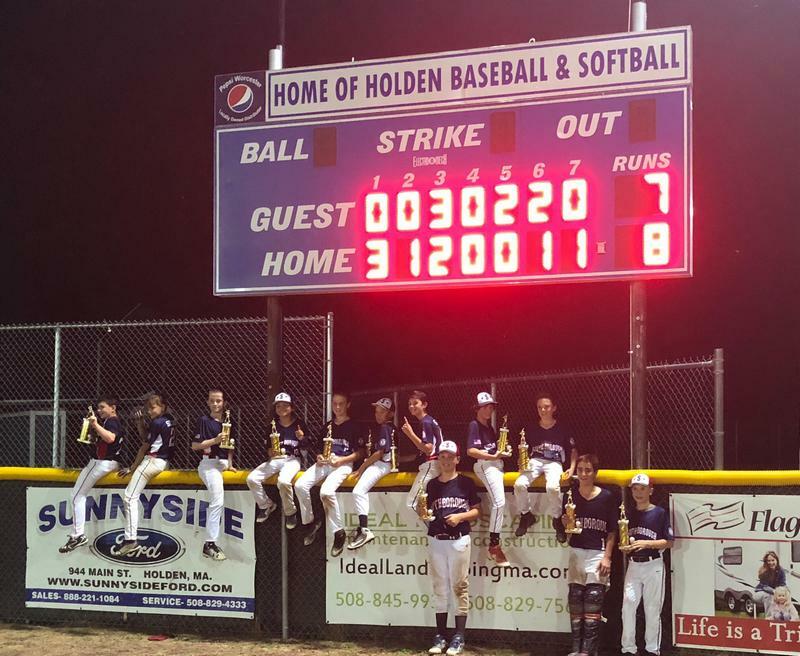 The Southborough 11-year-old district team won the Holden Baseball tournament on Monday July 2, defeating Joe Schwartz (of Worcester) 8-7 for the championship in extra innings. Southborough jumped out to an early lead in the top of the first inning with 3 runs, but the Worcester team battled back to take the lead in the top of the 6th. The Southborough boys pushed a run across in the bottom of the sixth to force extras before ending it in the seventh inning for the championship. 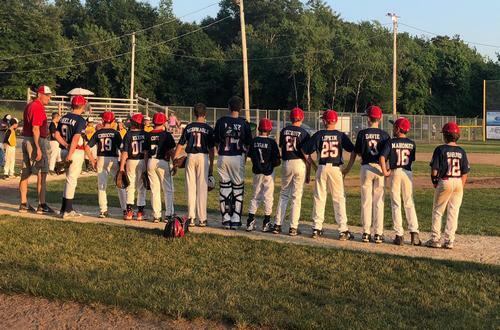 The Majors tournament is held in Holden at Swenson Park and consists of eleven area 12u teams competing in 5 regular games and three playoff games. The Southborough squad went undefeated at 8-0 during the tournament. The eleven teams that competed were: Northborough, Southborough, Clinton, Boylston, Sterling, Holden, Rutland, and three teams from Worcester (Tris Speaker, Joe Schwartz and Gehrig Ash). The only MVPs on this team were commitment, hard work, and alot of sweat (unofficial average game time temperature of 127 degrees). 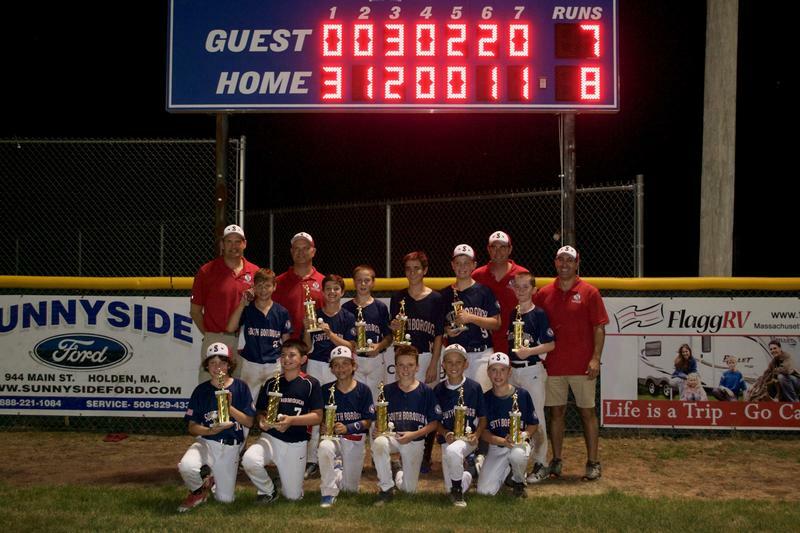 Congratulations to the Southborough 11-year-old baseball team. I can’t load the full size pic to the blog. But you can get a better look at it on Facebook, here. Updated (7/5/18 8:48 pm): My slow laptop led me to believe that I’d only received one pic instead of three. I just added in two more I “discovered”. You’ll also find bigger versions on Facebook.